We all know where a general keeps his armies*, but where do you keep yours? My 6mm Heroics and Ros ECW armies lived in a Cadbury's chocolate fingers tin. Handy, but useless. Probably explains why the pikes looked like over cooked spaghetti. 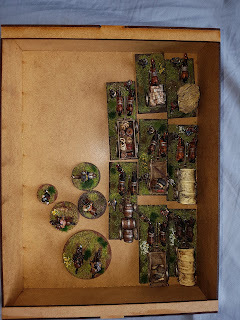 As my 15mm Napoleonics armies grew to silly numbers, storage became an issue. 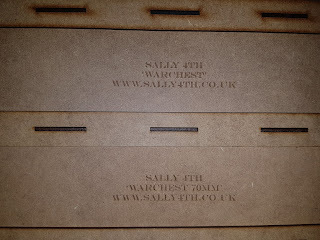 At the time Sally 4th came up with their Warchests boxes and lids. 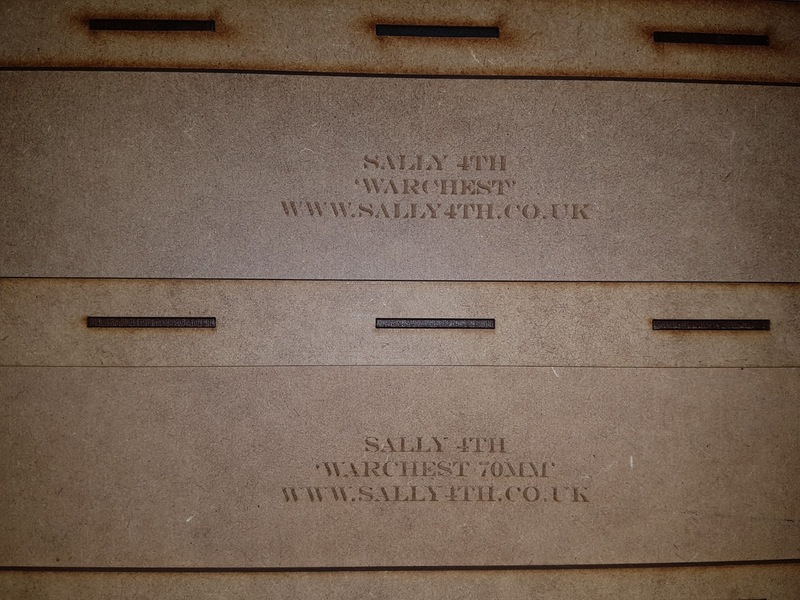 Warchests are laser cut MDF boxes which come in kit form. You'll need PVA glue and some elastic bands to assemble them. 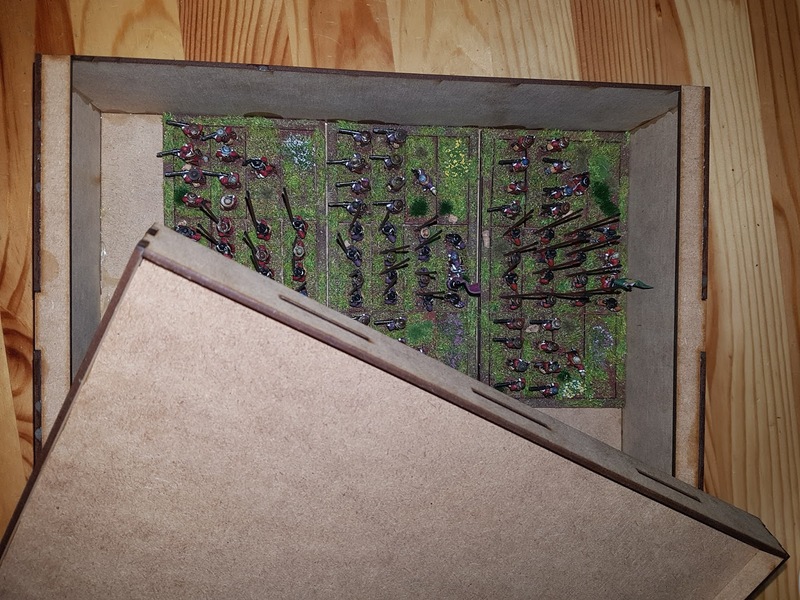 Easy to assemble, but for some reason I find the 52mm boxes the most tricky, often falling apart during that awkward act of putting the elastic bands on (to hold them together whilst the glue sets). They now come in a number of variations (clear panel, pre-coloured, different sizes, magnetic bases etc). Mine are the basic ones: I use 35mm height boxes for casualty markers and villagers; 52mm for cavalry, dragoons and artillery; and 70mm for foot regiments. A smart and simple solution to figure storage. Recommended. *if you really are wondering, he keeps them up his sleevies.